The Darling Downs is a farming region on the western slopes of the Great Dividing Range in southern Queensland, Australia. 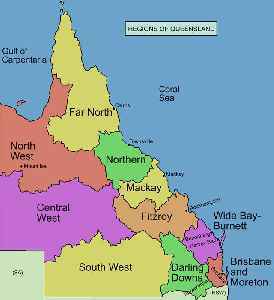 The Downs are to the west of South East Queensland and are one of the major regions of Queensland. The name was generally applied to an area approximating to that of the Condamine River catchment upstream of Condamine township but is now applied to a wider region comprising the Southern Downs, Western Downs, Toowoomba and Goondiwindi local authority areas. The name Darling Downs was given in 1827 by Allan Cunningham, the first European explorer to reach the area and recognises the then Governor of New South Wales, Ralph Darling. Queensland police have charged 11 animal rights' activists over protests at a Darling Downs abattoir and feedlot.